I had been trying to think of a photography project for myself for awhile now. During yesterday's photography lesson I was shooting at f/11 to make the portrait of Danielle using my Nikon SB-600 strobe in strong sunlight. I found myself really liking the detail in that image. I was also thinking that I have virtually no sunny Florida landscape photographs at all, despite being nearly a year back in Florida by now. Thus I got the idea to combine those two things, f/11 and sunny Florida landscapes, and make it an ongoing photography project just for fun (or more?). Now I thought I had shot the above image at f/11, but in actuality it was made at f/5.6. Why did I use it in this post then?? Well, it at least fulfills one of the project requirements, that of a sunny Florida landscape. The loose goal I have set for myself it to produce one sunny Florida landscape at f/11 per week. However, the weather has been extremely poor this winter in the Tampa Bay area, really a never before seen amount of rain, clouds and cold. Of course this happens the first winter I am back in a decade, of course. If anyone would like to join me in this project I would enjoy the company, and please post links to your photos in the comments. 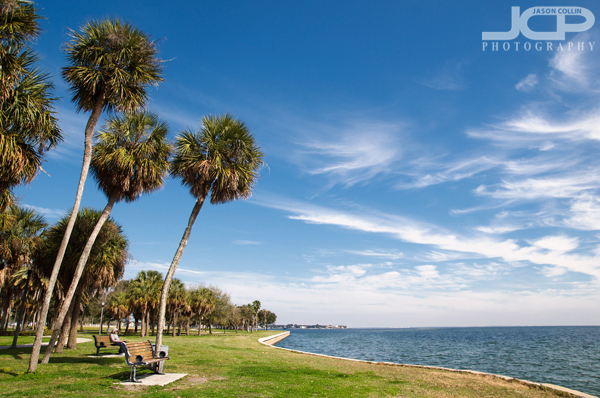 Even if you are not in Florida, I would enjoy seeing sunny landscapes of where you live.